Bed bugs have become a major headache for travelers and homeowners. They present a unique problem for business travelers in particular. Most issues we confront in hotels stay behind when we leave. Unfortunately, you can transport bed bugs when you travel which means you could bring them home in your luggage. You can suffer a costly infestation just from bringing a few bugs home with you. Business people do a lot of traveling. 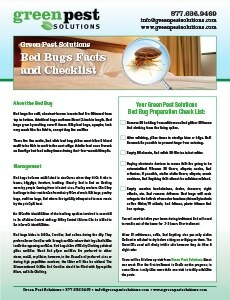 They can greatly reduce their chances of bringing bed bugs home by following a few simple steps. How can you identify hotels with bed bug problems? What can you do to avoid taking this problem home with you? If you have bed bugs, what do you do to get rid of them? Fortunately, there are answers to all those questions and tips to help you deal with this growing problem. If you want to avoid dealing with bed bugs when you travel, take an extra moment to investigate when choosing a hotel room. You can call and inquire what the hotel is doing for bed bug control. They should be able to confidently tell you what their plan of action is. If they do not have a bed bug control plan, you should investigate them more thoroughly. All the major chain hotels are likely to have a bed bug control plan in place. You can also check online reviews from other travelers. If other travelers have had issues, they are going to let everyone on the Internet know. Dealing with bed bugs when you travel can be a difficult experience. Investigating and preparing is the best strategy. First, keep in mind that there could be bed bugs when you travel and prepare yourself to look for bed bug signs as your first order of business. Immediately put your luggage up on the luggage holder. You can also bring along a plastic bag and put your suitcase in it. Keeping your luggage off the ground is step number one. Second, pack a small flashlight to inspect the areas around your bed. The most telltale bed bug signs are waste matter left behind or dead bed bugs along the seam of the mattress. The waste matter will look like dried blood on the mattress. Pull the mattress away from the wall. Look around the headboard and the box springs. So what happens if you see bed bug signs in your own home? This may seem like overkill to some, but it only takes a few minutes to prevent costly problems. It might be impossible to completely avoid bed bugs if you do a lot of traveling. Fortunately, you can take a proactive approach and find ways to avoid hotels that have issues, and take a few minutes to inspect the place and protect your luggage and other belongings so you don’t take them home with you.